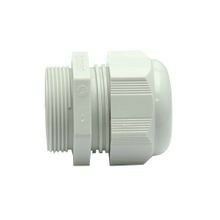 Remke Dome Cap Cable Glands Create a Strong Seal Without Disassembly. 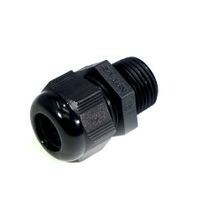 Remke's Dome Cap Cable Glands withstand the rigors of continuous flexing and stand up to harsh environments. They deliver heavy-duty cable strain relief indoors and outdoors. Get industrial-strength impact and abrasions resistance, even in wet or damp environments or at low temperatures. Remke Cable Glands now feature 6 tines, instead of 4. Bigger contact surfaces deliver easier tightening and stronger connections. The dome cap makes cable glands easier to handle and quicker to install, creating a strong seal without disassembly. Remke has the right configurations to get the job done right the first time. Thousands are in-stock or ready to customize to your exact specs with the Remke Engineered Solutions program. Whether you need waterproof or armored, plastic or strain relief versions, Remke has you covered! 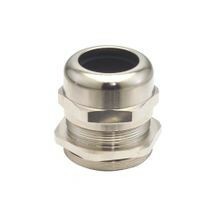 With many different configurations, our inventory of Dome Cap Cable Glands is ready for your application. Or we can manufacture custom versions in small or large runs. See the ‘Engineered Solutions’ tab for details. Easy to install in either clearance or threaded holes! Simply insert the cord and tighten the “dome-nut” to create a tight seal and relieve any strain on the cable. No disassembly is required. The newly redesigned connectors feature 6 tines, instead of 4, with larger contact surfaces for easier tightening and stronger connections. Rated IP 68 and meet NEMA 6 specifications, and suitable for use underwater to 165 feet, Remke cable glands are ideal for submersible applications as well as pumps, fountains and marine use. Standard Nylon Connectors available in a wide range of sizes with either NPT, Pg or ISO Metric threads. GEN 4 EMC provide easy insertion of cable from either side without damaging cable shield. Features 6 internal 'fingers' (or tines) with larger contact surfaces that allows low contact resistance on woven cable braids and foil shields. Spiral-Flex Extended Connectors offers greater support and arc of bend preventing sharp bends or kinks in cable, and for additional damage protection from moving machinery or machine parts..
Nickel-Plated Brass in a variety of thread styles including NPT, ISO/Metric and Pg that are ideal for use in a wide variety of applications including corrosive and industrial environments. 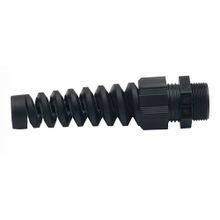 90 Degree Snap Elbow non-metallic cable gland with NPT threads. Ventilation Plugs reduce the adverse affects of humidity in the environment by preventing pressure increase inside the enclosure & limiting temperature increase through air circulation. Vent plugs are permeable to gases and vapors but impermeable to liquids and dust.